Are you considering to give acupuncture a try? The first image appears in your mind maybe is a porcupine or the acupuncture scene from the movie The Nutty Professor” that Eddies whole body was covered with needles. It is ok you are feeling a little nervous. Most people who have tried acupuncture would admit that it is not the pain of needle hunt them, but the fear of unknowing hurts more. This fear can be overcome by trusting the acupuncturist or the desperation for a fix. Don’t worry. Chen has the talent to make you feel relaxed and gain your trust in no time. Please to arrive 5 minutes earlier to your appointment to fill out a medical history form and allowing an hour for your initial visit, 45 minutes to one hour on your subsequent visits. To get the most out of your treatment, we prefer that you arrive at your appointment neither hungry nor thirsty. This is because acupuncture works with the body’s energy, so you need a good supply for us to work with – some petrol in the tank, so to speak. Please bring any relevant medical reports with you [e.g. recent x-rays, ultrasounds or other scans for your pain, a Basal Body Temperature (BBT) charts, ultrasounds or blood tests for your fertility issue]. During your first visit, you will have a thorough and relevant discussion with Chen about your health concern, medical history and lifestyle factors that may be contributing to your problem. Chen will check your tongue and pulse, conduct a pressure points examination relevant to your condition, and also ask questions about your general health, such as sleep quality and stress level. If suffer from pain, your consultation may also include some movement tests, to check your range of movement and identify the affected muscles or other soft tissue. 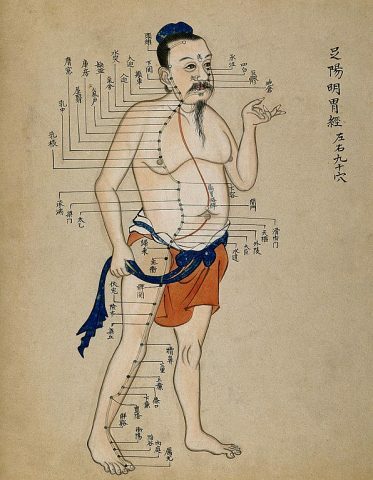 Then, Chen may discuss your Chinese medicine diagnosis, and what your treatment plan involves. It contains the overview of treatments and guidance on diet and exercise that you can take to improve your health. After the consult and physical exam, you will have your first acupuncture treatment. If any other traditional Chinese medicine therapies, such as cupping or moxibustion are recommended for you, these are performed in conjunction with your acupuncture at no extra cost. At the conclusion of your session, a treatment plan can be created for you, which outlines the approximate number and frequency of visits that would be most beneficial for you.